The honeydew makes this drink a tropical dream. 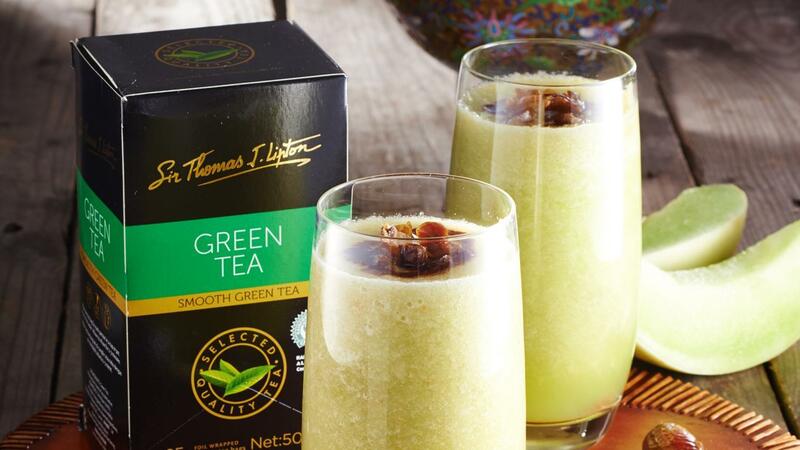 In a blender, add green tea, honeydew, date syrup and 5 chopped dates. Blend until smooth; add sugar syrup according to taste. Pour into smoothie glasses and garnish with some chopped dates.